I have an old hard drive I want to throw away but I don’t want any remaining photos, financial documents or other personal data getting in the wrong hands. In other words, I want to completely and securely wipe the drive. With Linux there are several options and after a bit of research, here’s what I consider the best way. Firstly, programs such as fdisk, cfdisk or GParted are not sufficient to fully erase data—they just edit a drive’s partition table. What we want is something more thorough. The standard way to do this is to overwrite data on a drive with randomly-generated data. There are several command-line programs to do this (see below for a comparison) but I’ve chosen shred. Its default is three passes (overwriting all data three times) which I’m comfortable with, but you can specify more if you like, e.g. -p 10 for 10 passes. WARNING! You don’t need me to tell you that accidentally erasing the wrong data could cause you big problems. Please be careful and check, then double-check each command and especially drive name before pressing Enter. Unmount each partition of the drive (sdb1, sdb2, etc. ), e.g. Type the following command for writing random data to the drive three times (default). DON’T PRESS ENTER. Double-check that the drive you’ve specified is the correct one to wipe. OK, now you can press Enter. Summary: A single (-p 1) overwrite (-w) with random data (-t random), showing progress (-s). Notes: You can’t see your progress or specify multiple passes. Got stuck with faulty drive. Summary: A single overwrite with random data. Summary: Force (-f) a single (-n 1) overwrite with random data, showing progress (-v). Notes: Not in default Ubuntu (sudo apt-get install wipe). After running this, I had a few errors running the other commands on the same drive. Summary: A single (-q -Q 1) overwrite with random data, showing progress (-i), keeping the device’s inode intact (-kD). Wiping the drive as explained above is good enough for most purposes but forensic experts have amazing skills and tools at their disposal. 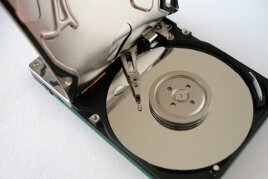 It may theoretically still be possible to access some of your deleted data. 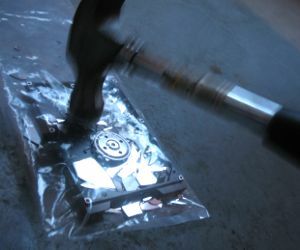 The most secure way to prevent people accessing any data left on your drive is physically drilling, crushing and breaking up the drive, then disposing of the parts in various locations. And encrypting the drive in the first place with TrueCrypt, for example, is also a good idea. This entry was posted in Other and tagged data, drive, hardware, howto, Linux, privacy, security, Ubuntu on 19 August, 2012 by Daniel. A quick tip for people who are really afraid to erase the wrong disk. Have a spare dumb machine around to plug the drive and use it for this kind of actions. Good thinking, Karl – thanks for the tip. Another tip if you’re really concerned is to remove any drives you don’t want to wipe, then boot from a LiveCD or LiveUSB to run the above commands.